An intrepid journalist joins the planet’s largest group of nomads on an annual migration that, like them, has endured for centuries. Anna Badkhen has forged a career chronicling life in extremis around the world, from war-torn Afghanistan to the border regions of the American Southwest. 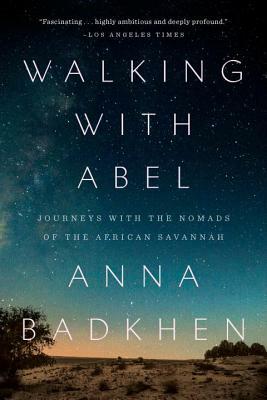 In Walking with Abel, she embeds herself with a family of Fulani cowboys—nomadic herders in Mali’s Sahel grasslands—as they embark on their annual migration across the savanna. It’s a cycle that connects the Fulani to their past even as their present is increasingly under threat—from Islamic militants, climate change, and the ever-encroaching urbanization that lures away their young. The Fulani, though, are no strangers to uncertainty—brilliantly resourceful and resilient, they’ve contended with famines, droughts, and wars for centuries. Dubbed “Anna Ba” by the nomads, who embrace her as one of theirs, Badkhen narrates the Fulani’s journeys and her own with compassion and keen observation, transporting us from the Neolithic Sahara crisscrossed by rivers and abundant with wildlife to obelisk forests where the Fulani’s Stone Age ancestors painted tributes to cattle. As they cross the Sahel, the savanna belt that stretches from the Indian Ocean to the Atlantic, they accompany themselves with Fulani music they download to their cell phones and tales of herders and hustlers, griots and holy men, infused with the myths the Fulani tell themselves to ground their past, make sense of their identity, and safeguard their—our—future. Anna Badkhen has written about wars on four continents, including the conflicts in Afghanistan, Iraq, Somalia, and Chechnya. Her reporting has appeared in The New York Times, The New Republic, Foreign Policy, and other publications. She is the author, most recently, of The World is a Carpet: Four Seasons in an Afghan Village and Walking with Abel: Journeys with the Nomads of the African Savannah. Badkhen lives in Philadelphia. "Lucid, generous, and rugged, Badkhen has written a magisterial book which speaks to us as a species in the early twenty-first century - where have we walked from and where are we walking."